04 February 2019 (Toronto, ON) - 2018 saw cellist Sheku Kanneh-Mason become a household name, thanks to his Royal Wedding performance and chart-topping debut album Inspiration. Now his two talented siblings – pianist Isata and violinist Braimah – are stepping into the limelight as they release their first recording together as The Kanneh-Mason Trio. Their new single, “Deep River”, is released digitally today via Decca/Universal Music Canada, the country’s leading music company, along with a brand-new music video and interview clip which captures all three siblings talking about the piece. Listen to “Deep River” HERE and watch the music video HERE. 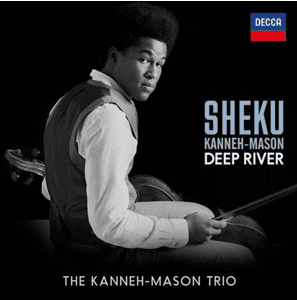 Recorded at Abbey Road Studios, the Kanneh-Masons perform their very own version of the African-American spiritual “Deep River”, based on the 1904 piano arrangement by Sierra Leonean composer Samuel Coleridge-Taylor. The piece holds a personal connection for the Kanneh-Mason Trio as their mother also hails from Sierra Leone. The release of “Deep River” coincides with National Freedom Day in the U.S., which honours the signing of a resolution on February 1st, 1865 by President Abraham Lincoln to outlaw slavery, which later became the 13th Amendment to the US Constitution. 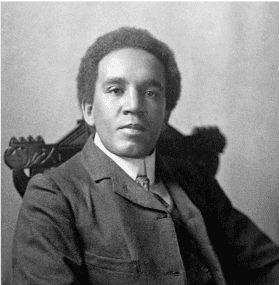 Born in London in 1875, Samuel Coleridge-Taylor was a celebrated Anglo-African composer from the early 20th Century. He began playing the violin at the age of five and went on to study at the Royal College of Music in 1890. He rose to prominence in 1898 at the Gloucester Festival with an orchestral Ballade in A Minor, which was followed by his much-acclaimed trilogy Hiawatha's Wedding Feast (1898), The Death of Minnehaha (1899), and Hiawatha's Departure (1900). Sir Hubert Parry, the principal of the Royal College of Music described the first performance of Hiawatha's Wedding Feast as “one of the most remarkable events in modern English musical history”. Still only 19 years old, Sheku Kanneh-Mason has enjoyed a whirlwind 2018: his record-breaking debut album ‘Inspiration’ released in January has sold over 120,000 copies worldwide, hitting the pop charts across the globe; he’s gone viral with over 30 million streams; he’s one of TIME Magazine’s Next Generation Leaders and one of 2018’s Most Influential Teens; he’s earned the BRIT Certified Breakthrough Award and two Classic BRITs; and he’s made major international debuts at concert halls around the world. All this while continuing his studies at the Royal Academy of Music in London, where he is now in his second year, and supporting young musicians through the London Music Masters scheme, where he is a Junior Ambassador.